Priority is assigned for each process. Process with highest priority is executed first and so on. Processes with same priority are executed in FCFS manner. 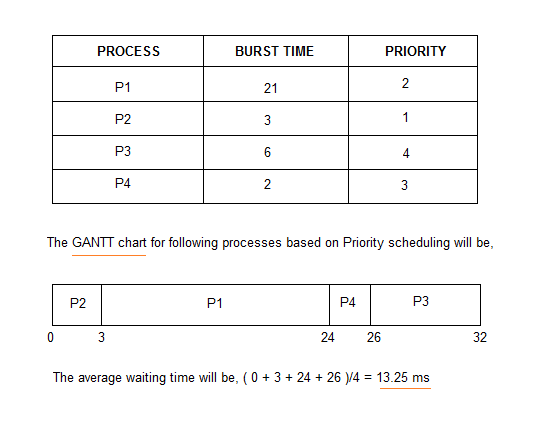 Priority can be decided based on memory requirements, time requirements or any other resource requirement.